longjohn - Love the kit! And you don't have to describe how great that snare drum sounds... 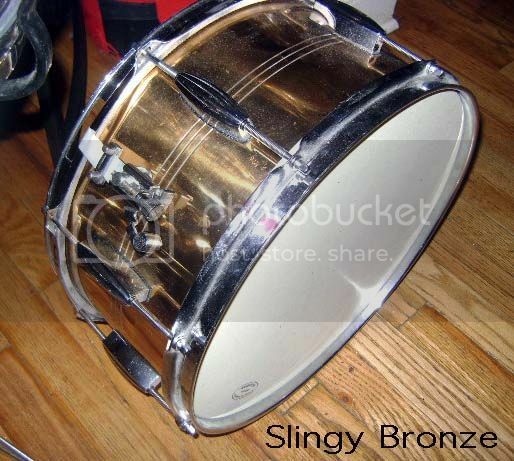 I bought an NOS 3-line Slingerland bronze shell a few years ago on fleabay and I assembled the drum in the photo. It has a mighty crack and tone for days out on the rims. On the dry/woody side tone-wise. I love mine.